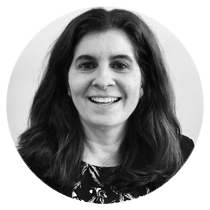 Paula is VP of Marketing at OnPage, responsible for developing marketing strategy, establishing the OnPage brand, and managing programs and campaigns to drive awareness and demand generation. She has over 25 years of experience developing and managing content marketing, product marketing, product management and go-to-market strategies at leading tech firms including Evergage, Brainshark, Salary.com, Dragon Systems and Lotus Development. Paula earned an MBA from Babson College and a BS in management from Boston College.